Grand Central Publishing, 9780446553933, 416pp. A severed arm, found buried in the White House Rose Garden. A lethal message with terrible consequences for the Presidency. And a hidden secret in one family's past that will have repercussions for the entire nation. 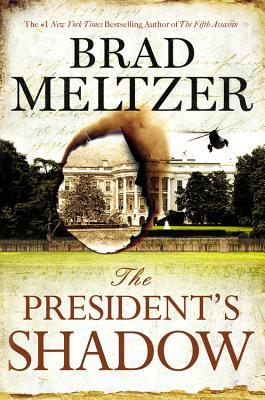 Following The Inner Circle and The Fifth Assassin, #1 bestselling author Brad Meltzer returns with . . . There are stories no one knows. Hidden stories. I find those stories for a living. To most, it looks like Beecher White has an ordinary job. A young staffer with the National Archives in Washington, D.C., he's responsible for safekeeping the government's most important documents . . . and, sometimes, its most closely held secrets. But there are a powerful few who know his other role. Beecher is a member of the Culper Ring, a 200-year-old secret society founded by George Washington and charged with protecting the Presidency. Now the current occupant of the White House needs the Culper Ring's help. The alarming discovery of the buried arm has the President's team in a rightful panic. Who buried the arm? How did they get past White House security? And most important: What's the message hidden in the arm's closed fist? Indeed, the puzzle inside has a clear intended recipient, and it isn't the President. It's Beecher, himself. Beecher's investigation will take him back to one of our country's greatest secrets and point him toward the long, carefully hidden truth about the most shocking history of all: family history.